How are you doing, people of Arinar? Having sorted out your prizes from Median Night Holiday and thinking of having some rest? No way! Next week we are starting the holiday of World Creation during which you can get so much fun that you will remember it for the whole year or more! Let’s take a short trip to the Snow Boundaries and take a look on the most interesting things that will happen during this holiday which will last till the end of January! Arinar is impatient for the World Creation holiday to begin, but as it seems all preparations were useless. 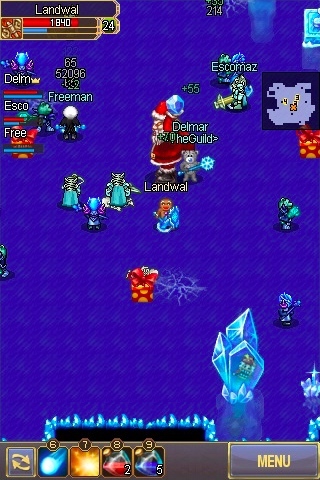 There is horrible news coming from the Snow Boundaries - the elves' town was destroyed and White Elder got lost. It is the work of Evil Sandro, greedy and insedious giant, who decided to take the White Elder’s place. While sitting on a throne in his ice chambers Sandro is reveling in power - almost the whole Snow Boundary has resigned to him! And he is just one step left to take control over the future of Arinar! However, he still needs the Forge of the Gods, in which, according to the legend, the War Spear is going to be forged again. This forge is the last bound! Who will stand on Sandro's way and bring hope back to Arinar? unique belts of the 5, 8, 11, 14, 17, 20 and 22nd levels with new bonuses! Note that the behavior of monsters in the dungeons has changed: some of them are characterized with particular behavior pattens now. Look for the most wimpy of them, use your strengths against their weaknesses and victory will be yours! 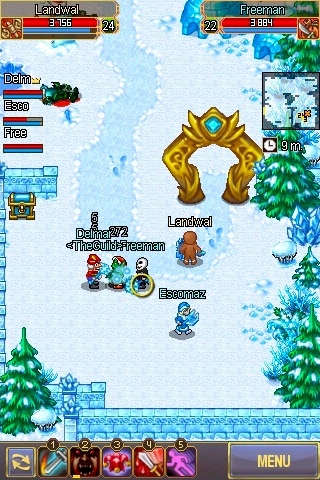 *Many players are already familiar with these precious rings and amulets of the Ice Queen and Aquilon. But this time we added items of the 20th level and an additional bonus to them (even to those accessories which players already have)! **Rage is a new bonus for weapons that gives a chance to increase physical/magical power by 10% within every attack. 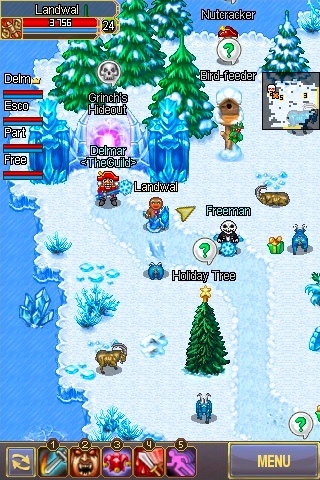 Worldcreation Cache - is the major intrigue of the holiday and one of the main sources of exclusive gifts. Even Harad himself doesn’t know what you will get when you open it, but we can tell for sure what you can expect! ...and lots of other useful presents! Don’t miss your chance to spend Crimson Corundums! What can make happy those who have Crimson Corunduns? During the celebration costume vendors will rush to put their best products on the shelves. You will be definitely not disappointed by the offer and everyone will find what they like! And what about those who do not have enough Crimson Corunduns to buy the desired costume? 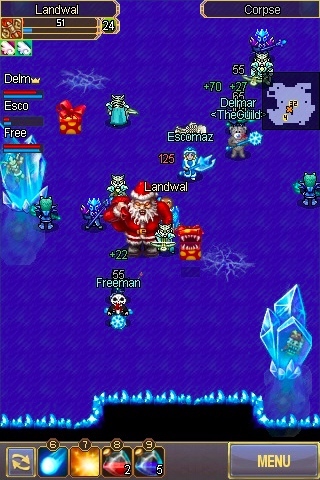 Don't give up - during the celebration there will be many opportunities to gain them by performing holiday quests! 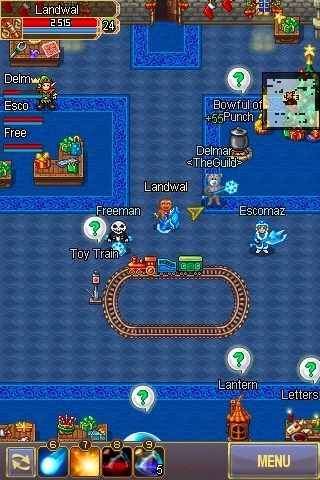 All guests of the holiday will find dozens of fun quests during it! 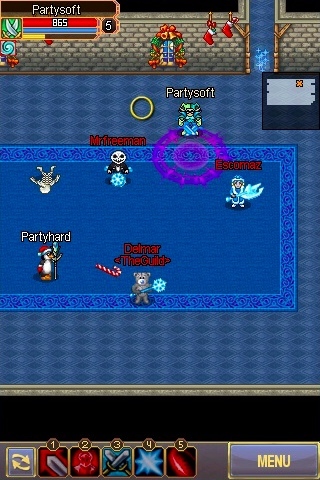 There is no party without gathering holiday items in Arinar! While traveling across the Snow Boundaries never forget to pick up bird food, snowman heads, moss and holiday decorations in order to exchange them for a fair reward! 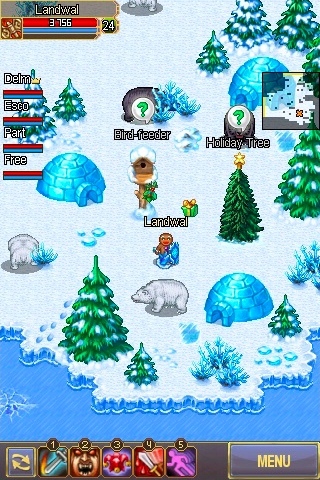 Traditionally, players can get a proper fight in the Happy snowman tavern. And players of the higher levels can have some truly serious business, hunting certain classes of the enemy alliance for Crimson Corundums! Completing Rune Protection you will have to collect North Runes from the boxes. 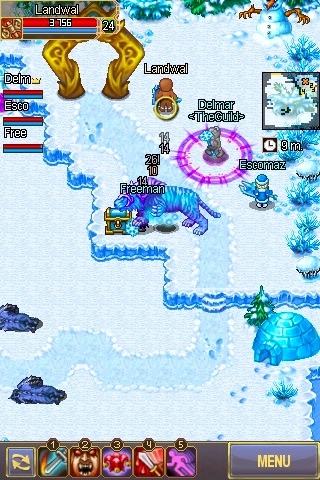 Gain them while fighting Snow Boundaries monsters, collect 40 runes and exchange them for great bounty! 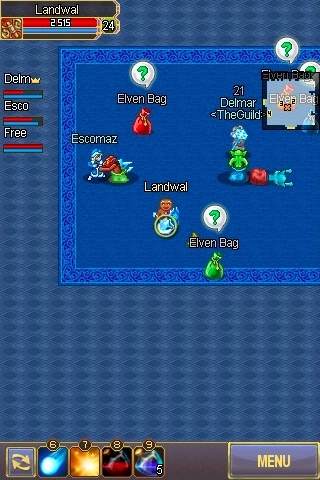 Another item you can find there is Krakatuk nucleus, which you will need for Enchanted elves quest. 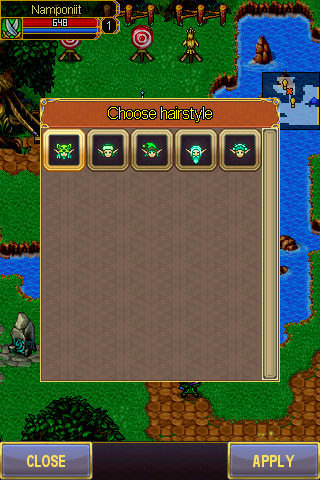 A player of each class and level can get the Behind the Crystal quest. You are going to need a lot of patience and luck to gather all the required items and to get a great reward for your efforts! Holiday gifts — is a daily task, for which players will have to make presents in the Toy Factory! Don’t be lazy, this holiday requires lots of toys, but remember to beware of Kobolds! Sandro’s Palace. 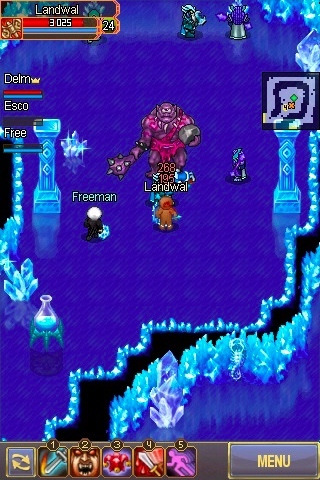 Gigantic Ice Palace is located deep under the Snow Boundaries. 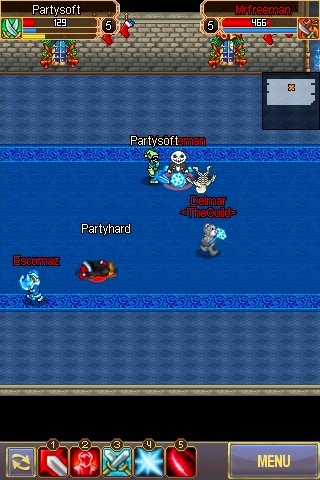 Those who dare to enter it must be extremely careful, cause they can meet dangerous monsters and new bosses! 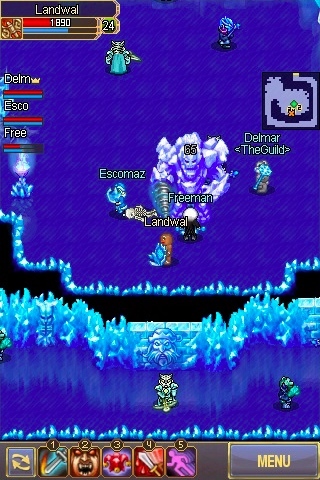 Fight them and get Crimson Corundums, unique costumes of Horned Yeti, Ice Golem, North Cyclop, rare weapons of the 22nd level and other prizes! 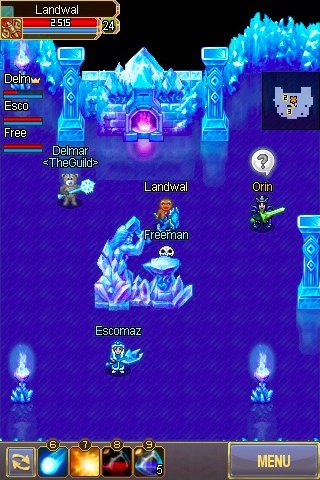 In this location you can also stumble upon players from the opposite alliance and meet the main boss of this event - Evil Sandro! 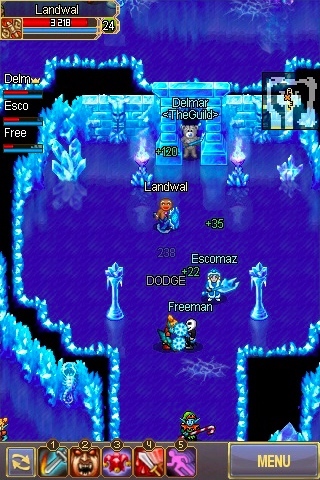 Evil Sandro is extremely dangerous and you have to prepare for the worst but if you win, you can get a unique Evil Sandro's costume and his treasury containing unique weapons of the 22nd level, Favoniy, Wulturn, Auster, Aquilon and Snow Queen's costumes, Crimson Corundums and other prizes! Forge of the Gods. 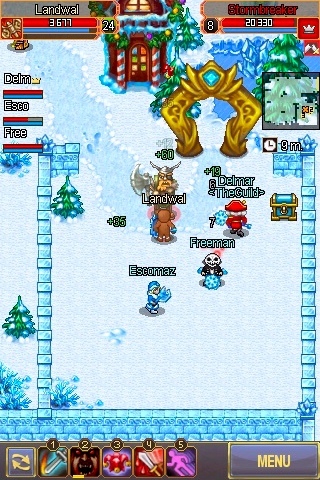 Those players who will reach the center of the Snow Boundaries will get a chance to enter the legendary Forge of the Gods. The main goal there is getting to the anvil, but it is not easy, because you have to catch ghosts for it! If you get there, you will meet Orin himself and get Crimson Corundums! 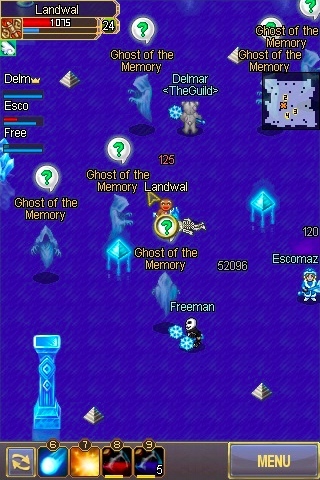 This quest is available even for the players of low levels, so it’s a unique opportunity to gain them! By the way, fun is not just waiting for you on the Snow Boundaries! Each town of Arinar stores piles of fireworks for everyone, so feel free to launch as many as you want! And don't forget to take a trip to Irselnort. 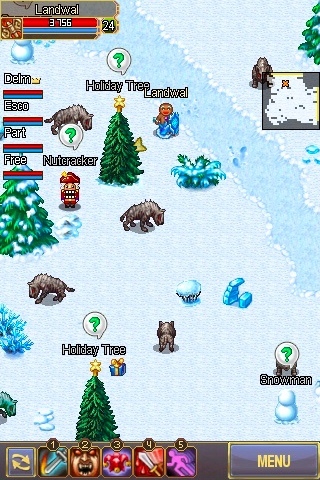 There you can find our classic raid quest for burning holiday trees in the rivals' camps and have a long run across the island. 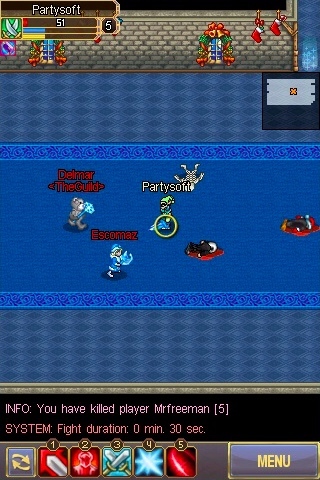 Those who have been playing our game long enough remember what a great fun it is! Every players who installs the update 4.6 will meet new icon and new background in the game menu. Let them help you get ready for the festive mood! The good tradition of distributing special skills will not be broken this time as well. The skills Throw snowball and Spirit of World Creation, which helps to quickly restore power, will be available to you during the whole celebration. 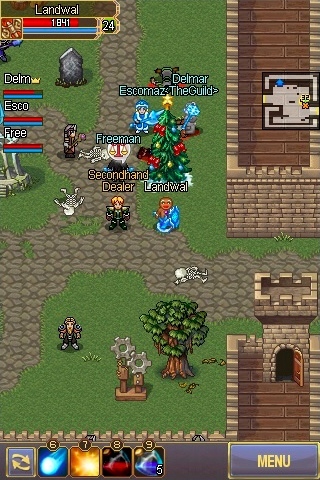 The characters armed with staves are the luckiest on holidays because each time they receive a special attack animation. We are not going to reveal all the surprises now, so you will see yourself what exactly is waiting for you this time! New item in the Miracle Shop! Meeting World Creation with a new haircut is a great idea. 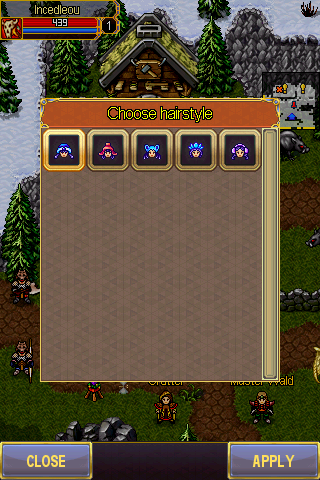 Especially when Miracle Shop got a new Snow Groomer Kit where you can find 5 new haircuts for male and female characters. Don’t miss your chance to get then, because they will be only available in the Holiday period! At this point our little tour is over! More information about the celebration and additional changes will be available next week on the day of the release upgrade. Follow our news and get ready for the celebration! finally! been waiting for it so much. seems to be great event. Its great! Can't wait for it! But I've got a question. Costium vendors will sell the same costiums as a year ago? there is yet again new weapons with 1 level higher than previous event but no new armor? only belts? Please remove the daily quest XP reward for the low levels, because we don't want to level up unintentionally. Please remove the daily quest XP reward for the low levels, because we don't want to level up accidentally. Again new weapons, when there is no eq. Finally! I've been looking for this event whole year! yes, belt is nice but i was hoping for this as well. some good armor set, 4 enchants + bonuses. Will there be [Yeti Hunter] or [Elder elf(dont know the exact name)]? will we be able to buy winter knight costume for cc? will it show time taken to kill each opponent?